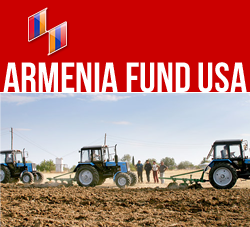 Yerevan, November 05, 2015 — The school in Nalbandyan village of Armavir region is undergoing major renovations through the Hayastan Fund Toronto affiliate’s benefactors Mr. and Mrs. Armen and Berjouhi Nalbandians. 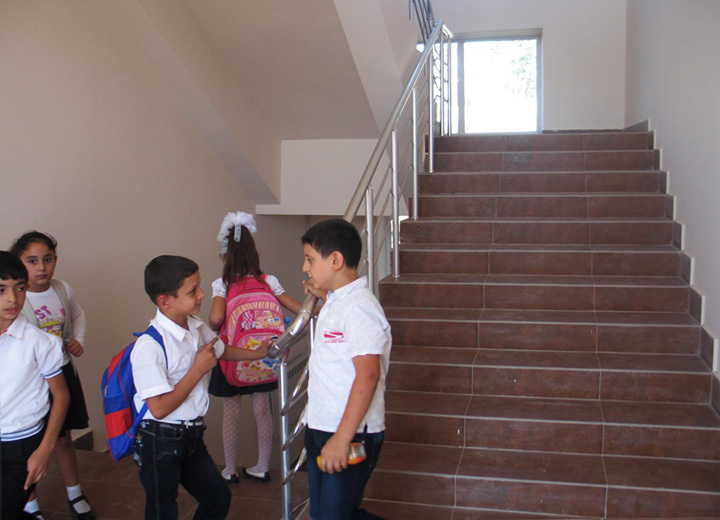 The 2nd and 3rd blocks of the three-story school, which has a total surface area of about 3,200 square meters, are completed. 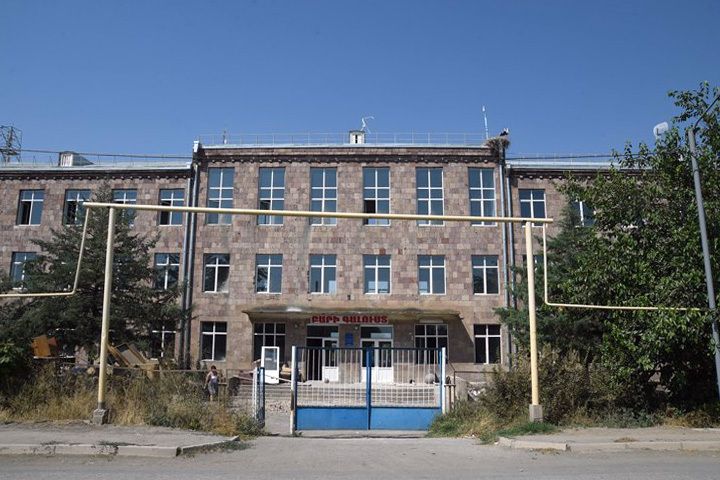 Before the renovations and reconstruction works started, the foundations and the two blocks of the school have been reinforced, the internal engineering networks, including new electrical, water mains and heating pipes have been reconstructed, floors have been rebuilt with laminate and granite. Six new toilets have been constructed since there was only one toilet to serve the two blocks of the school. 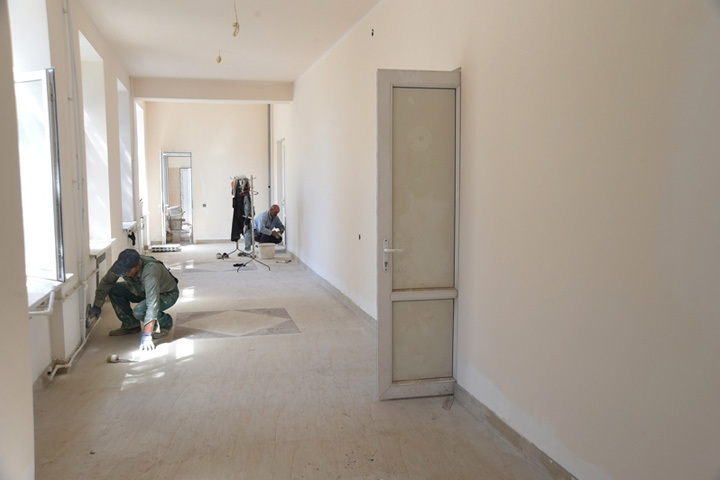 While the crews are working on reconstruction of the administrative block, the 600 students of the school study in the newly renovated blocks. A much needed sport gym facility will be constructed for the school. 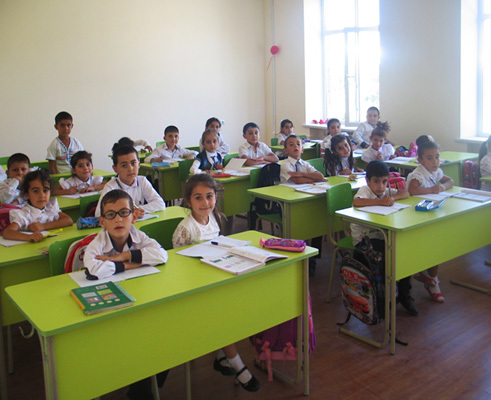 After the construction works are over, the school will be provided with brand new furniture and the necessary sports equipment. 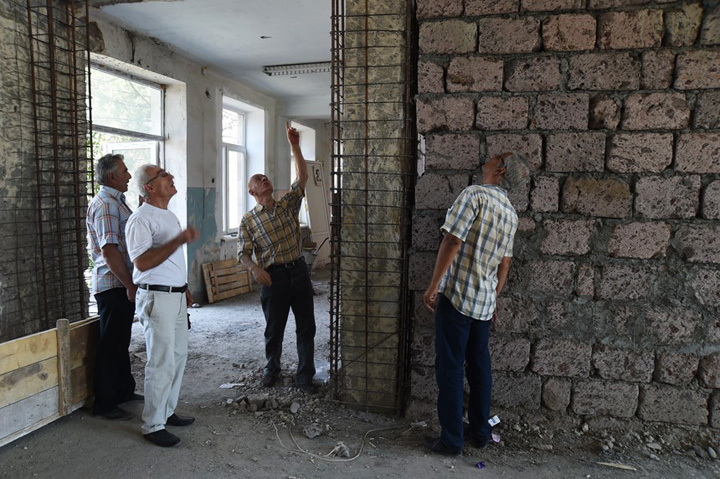 The village mayor Grigor Mkrtchyan says that besides the new and convenient conditions for the students and teachers, the reconstruction also provided jobs and income to about 30 work crews per month. The village residents were happy to tell that even the storks welcome this nice initiative of the Hayastan Fund. 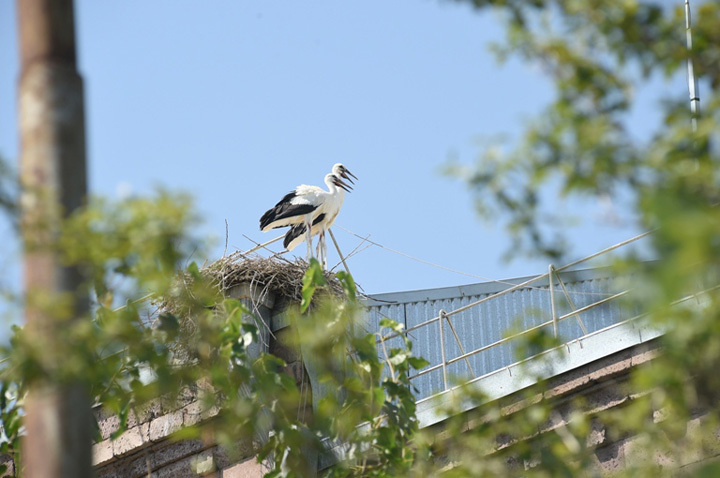 It is the first time they built nests on the four corners of the school roof granting warm feelings to the village residents.